quite far from the absolute truth and in the crowd of the humanity rather it could be in the unconscious reality which one might have obtained the purest love ever. We can't avoid the distinction and variations in our attitude due to the human being, we can't sacrifice anyone except for the child because everyone in this world wants to live the life with respect and dignity. Due to our social heritage, the hierarchy of self-being has been persuaded with the social system or due to the physical or another possessions which don't change their capacity of thinking either, it may affect the ability of the power who we are or why we are equal in this world. Everyone wants to be superior, more advanced and more talented than the other. 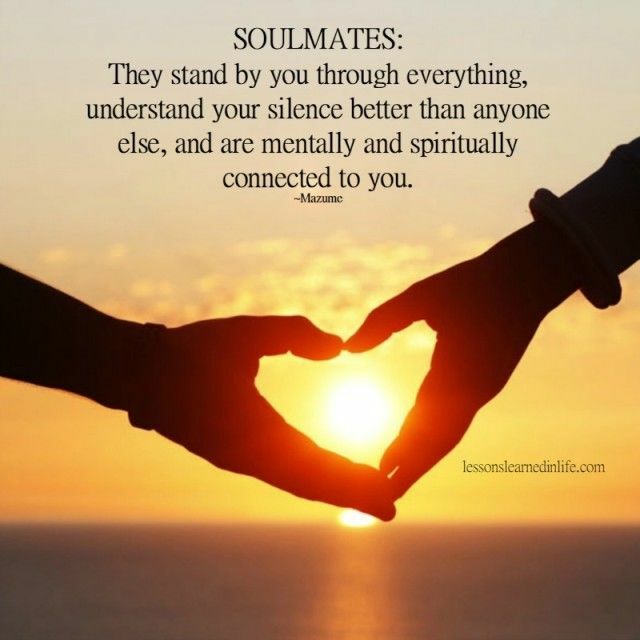 The fight and competition always cause the lack of absolute soulmate in our real life. The conscious minds always fight with each other to be more powerful, to be more productive and to be more superior in many areas of lives that is the main reason and the toughest part to find someone as an absolute soulmate. Everyone encounters with several people in life and we may have the affection, counterparts and deepen in the area of melting the souls to mingle with each other. We create the new life with the perfect features what each individual dream to have as the new generation, but that absolute dream always distances on the horizon because of the reason someone never can be the absolute partner. The absolute partner may exist always in the unconscious mind and always remain in one corner of the same individual that is the own heart or own soul. No one replaces is the unconscious mind which always favors us and sometimes doesn't forget to remind the boundaries what should be done or what shouldn't be. That is why if we look forward finding the absolute soulmate in this life we don't have to look outside in the world rather it is truly inhabited within us which gives the purity of the love, affection and unconditional love which we can never expect from the outer spare of the world!